I think you'll all agree that she's pretty sassy for a seventy year old bird! Aside from her creaky drawers (oo-er!) and a few bumps and scrapes, she's in pretty good nick! Eventually I'll give her a once over the flannel and tart her up with some varnish but for now she's sitting pretty and she couldn't look better! The moral of the story (there wasn't going to be one, but I'm feeling self important now and quite smug about this entire tale) is to be feckless patient! If you don't press the 'bid now' button straight away, chances are you're not totally feeling it! Just sit tight and see what happens. 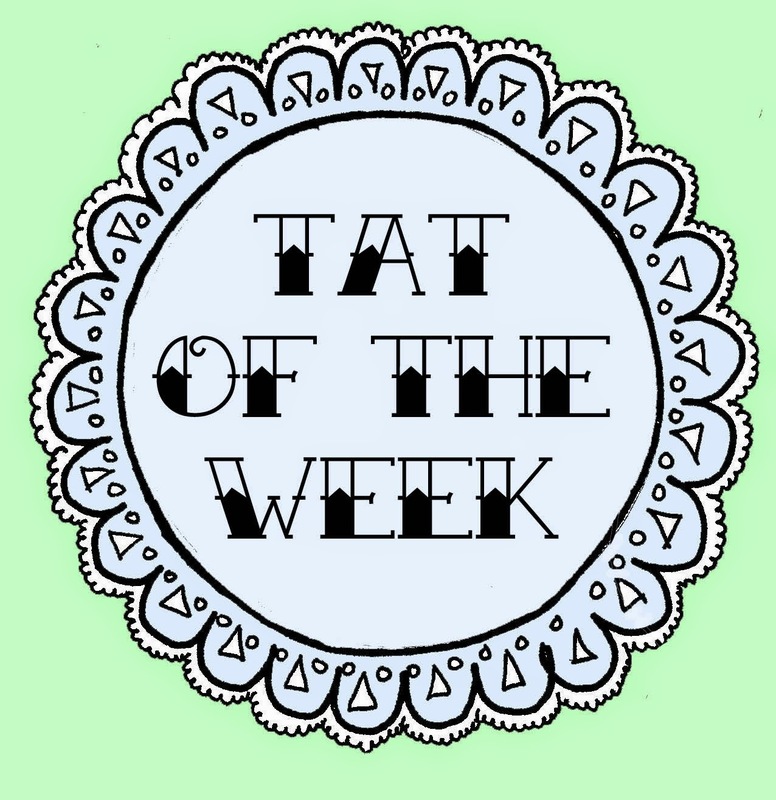 You never know, you might end up featuring on 'Tat of the Week! ', and when you do, I'll be here waiting for your eternal gratitude. Keep your eyes peeled and your elbows out! The tat is yours! Downstairs loo, Lav, bog, throne room, john, powder room. Happy Tuesday sweetie pies. 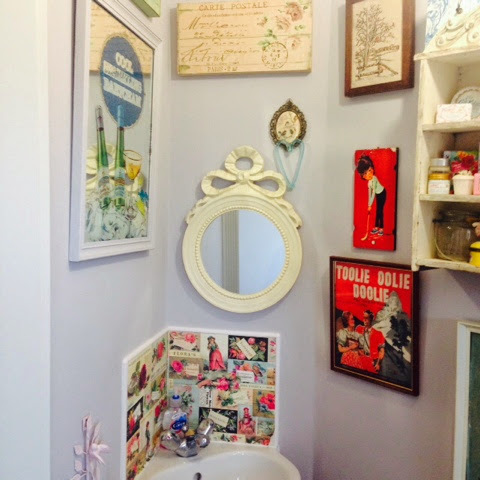 I thought I'd pop by and have a quick chin wag about my downstairs loo! Now I understand, that talking about toilets is a pretty weird subject, but I'm not talking about the actual porcelain princess..... No no no.... I'm talking about all the pretty ways you can jazz up the smallest room in the house! It came to me today that loo's are pretty dull, and yet we spend so much time in there! Some more than others granted (what DO men do in there?) but why settle for a blank canvas while making our flowery deposits? Time to decorate, I'd say. Now my loo is a bit of a talking point in my house. It's the first room in the house and it's teeny tiny.... So a pale colour was needed to brighten things up! I suppose a 'normal' person might stop there on the quest of decoration, but to me, unless my guests are perspiring with claustrophobia it hasn't had the desired effect. I have a bit of a 'thing' for pictures, and I would happily hang them on every free bit of wall in my house if I could, but I do have some limits ( I think??) so my boring downstairs toilet became my tat gallery. Pictures, mirrors, paintings, plaques of all colours shapes and sizes now all reside in one space... And do you know what? So what if they don't match. That makes it all the more quirky. I used a paper chase gift wrap to cover the tiles, not long term obviously but until I win the lottery and can buy pretty real ones! It's held up okay for over a year! I've used a little Cath Kidston tea towel for the window as a makeshift blind, I just sewed some pretty pink pom poms on to jazz it up, and ta da!!!! A toilet/gallery. Hope you've all had a wonderful bank holiday! For me and the other half it was a weekend of relaxing and that means crafting in our gaff. I've been trying to tart up my little garden lately, and sheds really don't 'do' it for me! Far too boring, but with my slight hoarding tendencies , storage is a must! So off to The shops for some shed paint we went! Surprisingly there was a whole aisle dedicated to the tarting up of sheds. So I picked a lovely fresh colour of duck egg bluey-green. Taking full advantage of Mr B's DIY skills we made some lovely little planter boxes, out of an old wooden crate. (I say we) and up went some bunting, but something was missing. Despite its mini makeover i could still peer in and see the 'boy toys' it needed a CURTAIN. Up into my little crafty room I went, foraging through the ever growing stash of fabrics. That's when I found them! From a couple of months ago I went to a little village fete, for an unhopeful look around.. In a basket underneath a table (yep my bum and feet were hanging out from underneath the table cloth) I found a massive bunch of scrunched up, un loved vintage napkins!!! She sold the lot (42 to be precise) to me for £3. A few sewn together and a pretty curtain was born!! Now I am aware that Laura Ashley's career at soft furnishings isn't threatened by my crafty attempt, but I must say I am super happy with the end result. It really brightens the garden up! Another weekend and another Saturday morning, running around my local charity shops (within a half mile radius of my home, there are 13...) like a mad woman, scavenging for treasure and other useless things that the Shipley Granny Mafia might have passed up on during the week. BUT FIRST! A trip to the beautiful Victoria Hall in Saltaire, conveniently just around the corner from my dilapidated dwellings, to frequent the Saltaire Vintage Home & Fashion Fair! This total treat of an event is hosted every couple of month or so by a lovely lady called Caroline Brown, whose vintage hosting escapades can be found here. The fair is packed over two halls with everything from teeny tiny dessert forks, to girdles, to mounted antlers and everything in between! I got the lamp base at a car boot sale last weekend for 50p, the shade is an addition from today at £1, and the vintage 1980's weighing scales were also a steal at £1.29 from my local Age UK shop! I feel my hoard is justified when it's in the name of charity, don't you?! One thing you can always be sure of is where there is tat, there's cake! I see it as sustenance that fuels my finding frenzies! In which case, I should probably live off it! Time for bed now anyway, those car boot sales aren't going to empty themselves in the morning! TAT OF THE WEEK... The Amsterdam pick. Hello lovely readers. Happy Tuesday! It's about time for some tat fodder I'd say! As some of you may know, Jenna and I had an exhausting but thrilling adventure over to Amsterdam, purely to quench our ever growing tat thirst. As you can read from the previous post we had THE best time and the ultimate part had to be, the big reveal which means laying it all out in a vintage blanket of treasure, and realising the little bits, in a fit of hysteria that we had forgotten!!! Anyway...after a few moments of glazed eyed 'ooooohhh's' and 'ahhhhhh's' we slapped each other around the face to re focus, and picked our favorite find. There was no question that this man had to win the prize. All hail Jesus!!!! 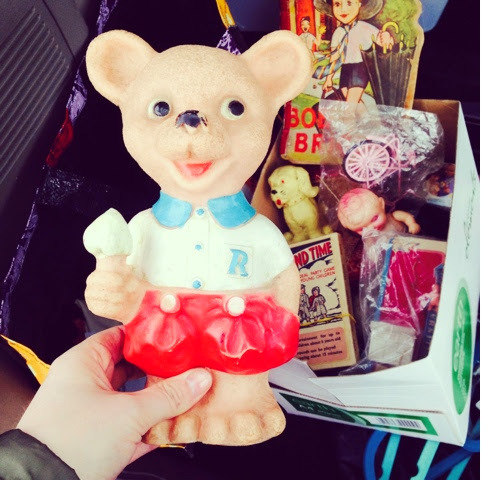 Among Jenna's finds, stands a figurine so wonderful it had us both in a spin! After a little bit of bartering Jenna scored this for a real bargain at €15 . He now lives comfortably with Jenna, in the company of her other little vintage religious-wares collection in her house. We will be doing a feature on our houses soon! After a tickle around with a feather duster obviously. 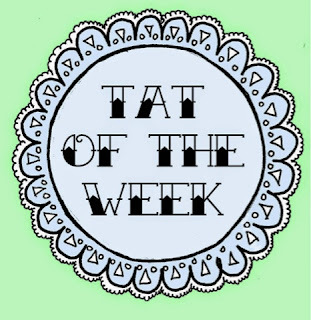 Happy Tuesday tat lovers.....I thought I'd post our first 'Tat of the week' (cue over harmonised game show song) to get you through your bank holiday mourning. 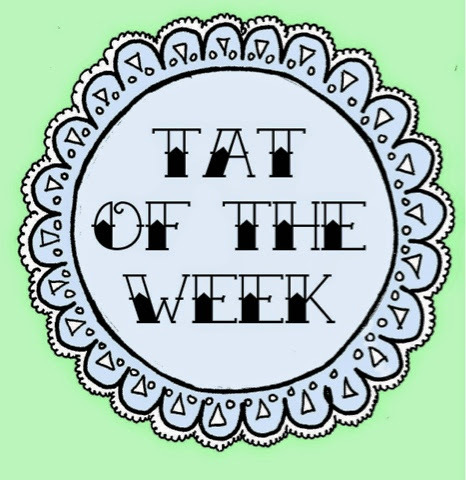 The idea.... My self and Jenna will be gathering our tat finds that each of us have gotten waaaaay too over excited about that week, and pick one! And give it a super shiny cyber gold star for being, well just fabulous! Super squeaky Rupert bear!!!!! It's suffice to say I am in love with this not so little man, and at £1 I nearly cried tears of happiness (slightly hysterical)! I will be doing a post about my car booting adventures later in the week! It was a great thrifting day.....! 1. This old fellas first appearance was way back in 1920!!!! 2. After all these years, he still features in the daily express! Despite his world wide fame ahhhhh! On Saturday our love for tat went to ANOTHER LEVEL (freak me baby! get it?! 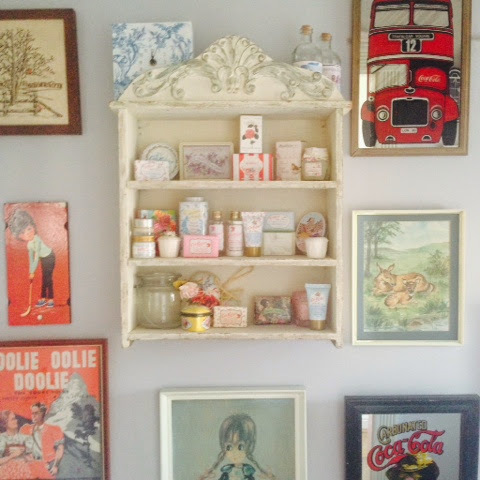 Never mind..) when we went on the tat binge of our lives at the I J Hallen flea market in Amsterdam. Basically, if you're on the eternal quest for the treasure jackpot, chances are you will find it here. Up at 4am to catch our flight, our trip saw us take a taxi, plane, train and a boat to reach our destination, and it was worth every mile. Rows upon rows of sellers greet you across two huge ship yards and every stall has something different, unique or collectible. It's like what a car boot sale would be like in heaven, only better! We both came back with an excellent haul. If you fly, unless you pay to check a bag into the hold, you only have 12kg of hand luggage to play with. Individually, it's safe to say we more than managed to fulfill the maximum requirement! To give yourself the advantage of fitting more into your bag, take less! We packed clean underwear, face wipes and a toothbrush. Desperate times call for desperate measures! Don't be suckered in to paying higher prices when you first enter. Immediately after paying your way through the entrance, there are stalls outside to ease you into the sheer size of the place. We found prices at these stalls were a lot higher than the stalls inside. Don't be afraid to pass up a purchase, there's PLENTY inside for less dollar Euro! Beware of any pick pockets or thieves. There's not many, but at one point we did think we were being followed by someone with one of those chirpy bird whistles (you know the kind, men on street corners selling bandannas and sunglasses usually have them tucked away in their cake holes) it's a good distraction technique, you start looking around for an exotic bird, and they make off with your purse. Be vigilant! Keep ahead of yourself! It took us about 5 hours to get round every stall and then briefly back again to make sure we hadn't missed anything! Put your tat radar on and move fluidly but thoroughly! Your dream treasure is in there somewhere and you're not leaving without it! HAGGLE! From experience, it seems like the good British way to pay what people are asking and complain about it later, but you've come all this way and for what? To pay twice the worth for a battered old Jesus bust?! I don't think so. You're not in England now sweetheart, get haggling! The worst they could say is no, in which case, weigh it up. Do you really want it? Course you do! Get it bought, you're on holiday! All information for the flea market can be found on the official IJ Hallen website HERE. Be warned though, once you go tat, there's no turning back!